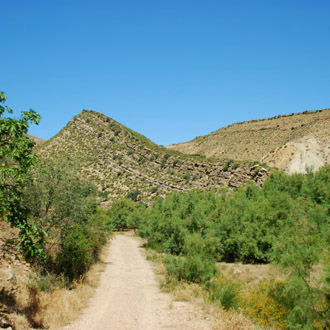 If you like the outdoors, you can hike or go mountain-biking on a network of marked trails that cover the hills, including two of the River Martín Cultural Park routes. 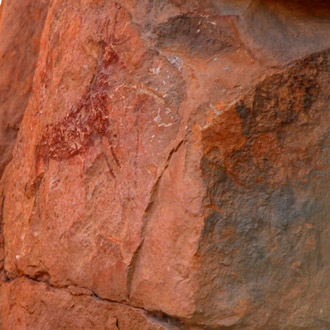 You can also use these trails to reach two prehistoric rock-art sites, part of a UNESCO Word Heritage Site. 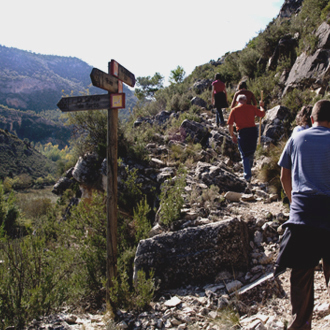 Many interesting places are within a day’s reach of Alcaine. 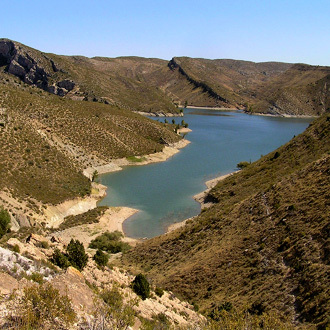 They range from cities with an impressive cultural and historical heritage, like Zaragoza or Teruel, capital of the Mudejar art style, to remnants of the Ancient world, like the Iberian village of Azaila or other prehistoric rock paintings scattered across the River Martín Cultural Park. 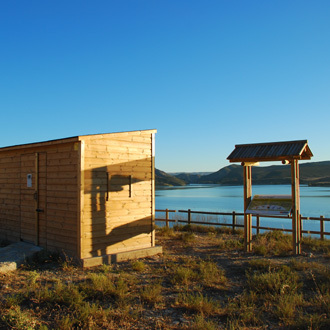 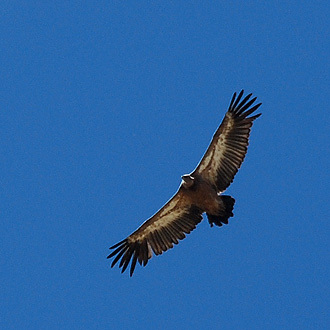 Nature lovers will enjoy the wetland in Gallocanta or the steppe reserves of El Planerón and La Lomaza in Belchite. 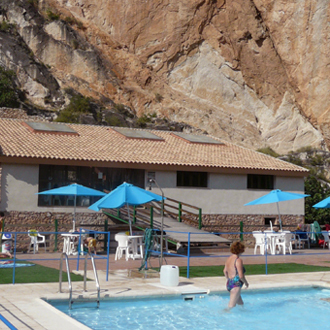 The whole family can have fun in ‘Dinópolis’ dinosaur theme park or the Crystal Caves in Molinos.